We are Spotless Commercial Cleaning, a cleaning company in the Wayne, PA area. We are Wayne window cleaning and office cleaning professionals. We specialize in the business and corporate setting. We founded our company on tests and research which showed that most cleaning companies didn’t understand the needs of the professional workplace. It is our mission to provide knowledgeable service to companies in our area. Our team is comprised entirely of cleaners with professional business backgrounds. So you can rest assured, when we clean offices, we understand them inside and out. It’s no coincidence that fall is a beloved season. With the holidays, the smells, the changing colors of the trees and the falling leaves, no one likes being cooped up inside on a beautiful fall day. Luckily, large windows are a common feature in many workplaces. 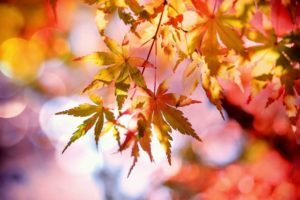 Maintaining a connection to the outdoors and experiencing the beauty of autumn are important notions to many people and many employers. That’s one of the reasons it is so important to keep your windows clean. As we enter into the swing of fall, the last thing you want is a dirty window obscuring your view of the fall foliage. Keep your windows clean, and keep the spirit of autumn alive in your workplace this season. Here at Spotless Commercial Cleaning, we are experts in all variety of cleaning tasks. Whether you need a one-time deep-clean or a daily janitorial service, we have you covered. All of our employees are experienced in the corporate world, and understand the cleaning needs of the American workplace. From floor stripping, to carpet washing – from window washing to kitchen scrubbing: our team will make your office spotless! Visit our services page to explore all of the cleaning services we provide. So don’t hesitate! Contact us today and tell us your exact needs. We would love to accommodate the specifics of your business. We will provide you with a free quote for your trouble, as well as an additional free gift!